Today I have another Blank Slate Patterns (affiliate link) testing garment to show. 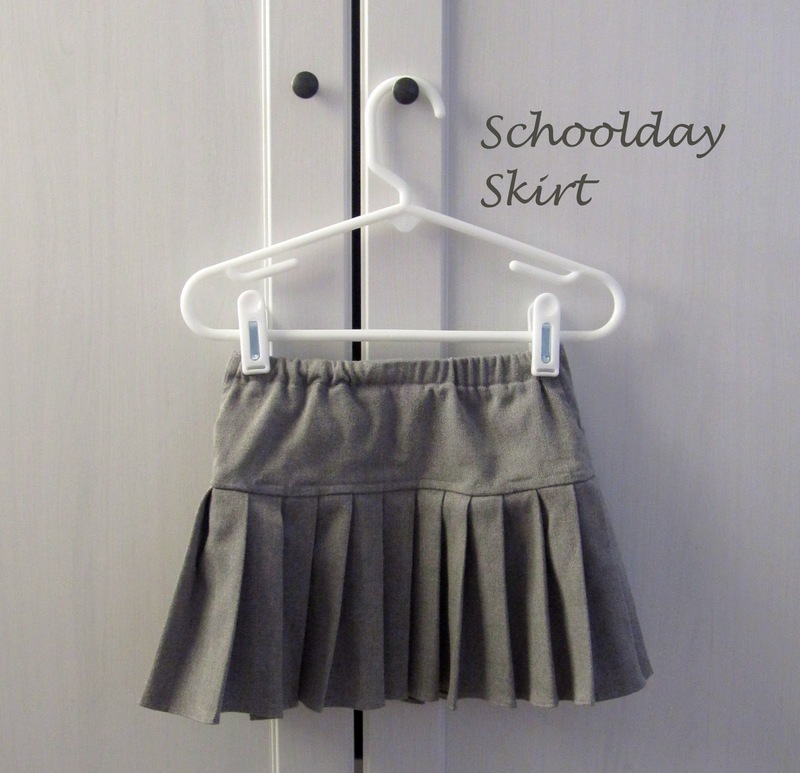 It’s called the Schoolday Skirt (affiliate link) and it has just been released! It has these perfect pleats that line up all the way around (even at the side seams), so it looks like it took a ton of time to make, but it was a really quick sew. As with all the patterns I’ve tested so far, Melissa doesn’t disappoint with this skirt. The directions are clear and I found the pictures very helpful. 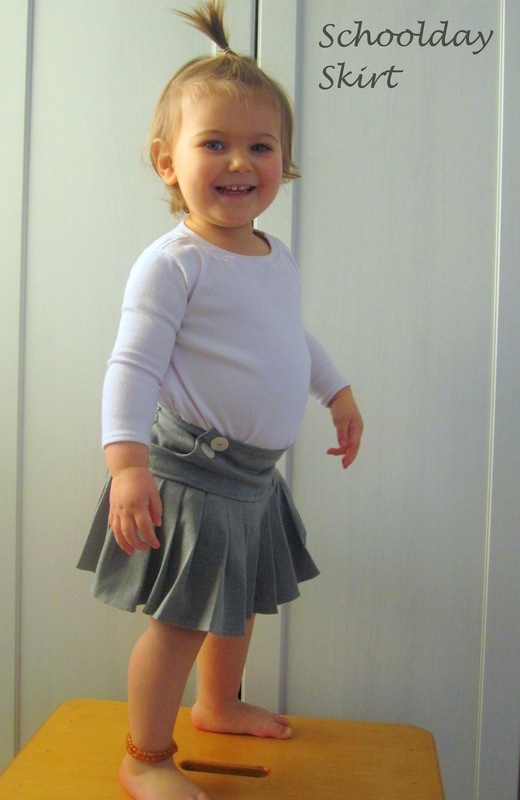 Even though the skirt has a flat front, it’s still an easy wear for Bean at only 22 months since there is an elastic casing in back. Look at this post-breakfast toddler belly! I’m excited about getting some wear out of this skirt this spring. It’s feeling like soon she’ll be able to go out without leggings, pants, or tights so it’ll be fun to pull out some of the warmer weather skirts and dresses she has. For now this looks adorable over some striped leggings. 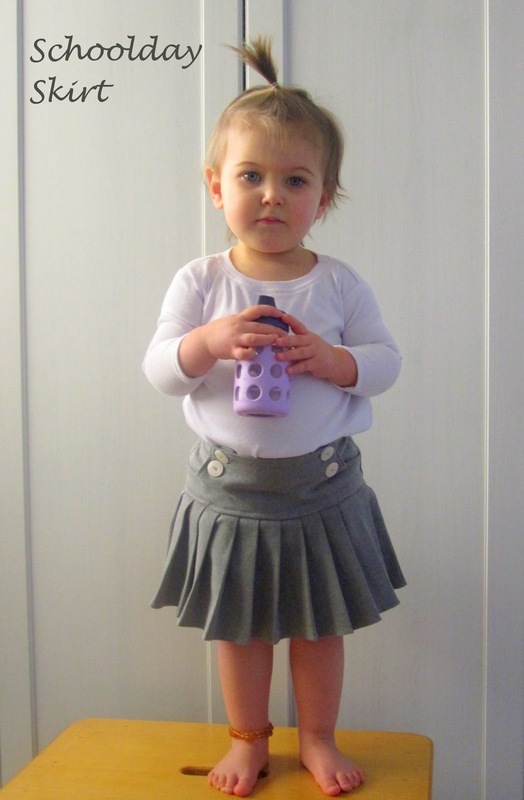 The fabric I used is the same grey I used in the Scallops By The Sea dress and the Goodship Grey dress. I still have a little left and I’ll be sad when it’s gone. The top was made by using the GoTo Signature Dress (affiliate link) bodice without the gathers and excess fabric down the center. It was made in December so it’s getting a little snug already, hehe. 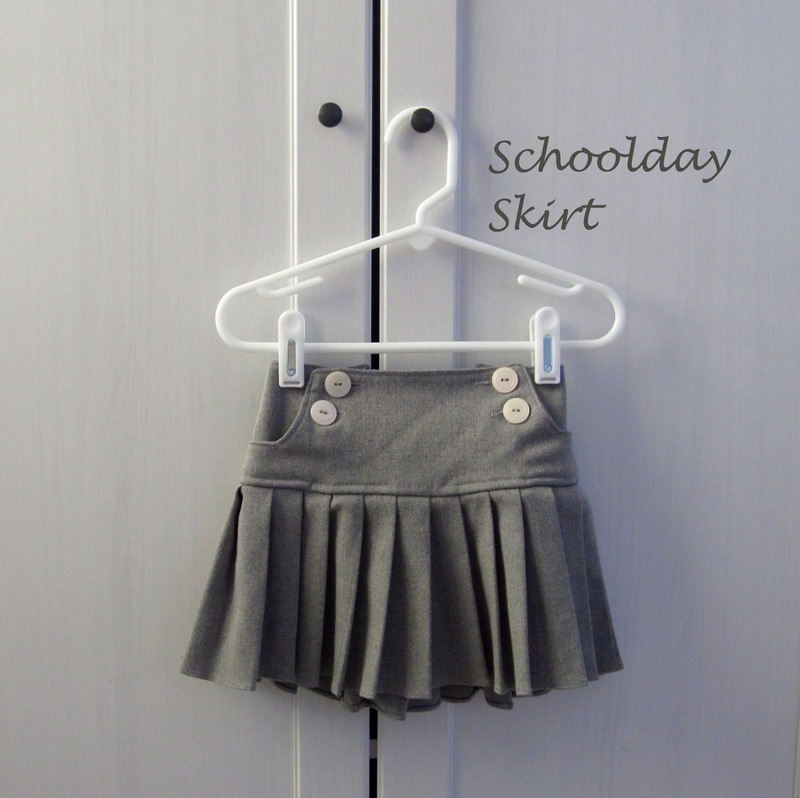 LOVE LOVE LOVE the skirt and it looks like it was a breeze to make! And that hairstyle is quite trendsetting. NICE! As soon as it was 'released' on Melly Sews, Ashley emailed me the link….. I think we're hooked!! The hair or the skirt? Seriously so cute. I love the front and the fact the back has elastic. It's adorable!!! I want to buy the pattern!